Integrates with your cockpit audio system, cabin briefer, in-flight entertainment system, and existing cabin speakers. An easily-configured solution for new and re-fit applications. AEM's LSA100-100 cabin PA amplifier is a small, lightweight solution to your cabin communication needs. Easily configure cabin zones with six 20W outputs, each isolated and protected, featuring on/off control and status. Our Class D speaker amplifier outputs are low noise and high efficiency. Programmable tones and chimes make the LSA100-100 a versatile solution for specific customer cabin PA applications. 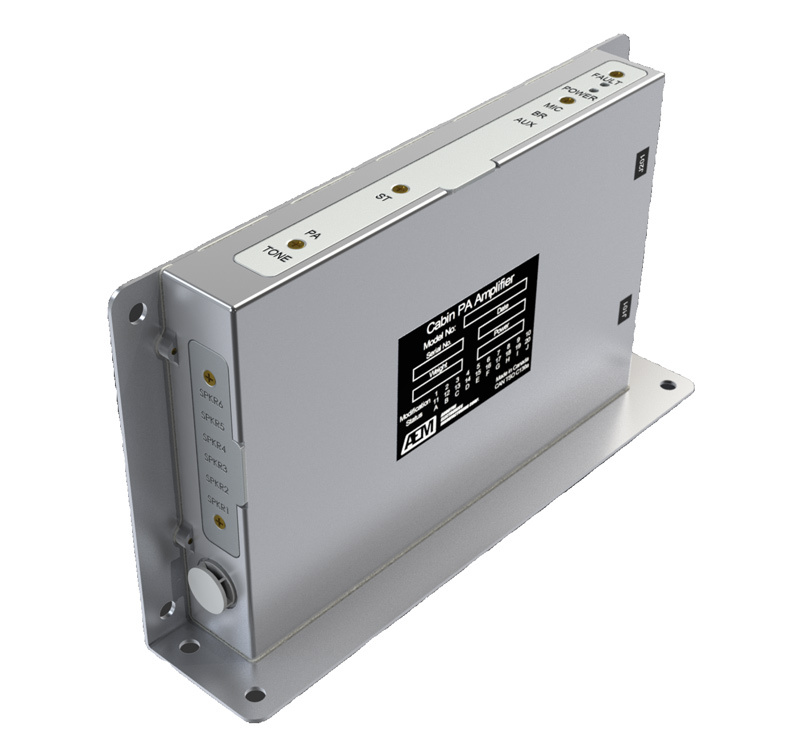 The LSA100-100 amplifier is fully qualified to DO-160G and DO-214A and is certified to CAN-TSO-C139a requirements.